From name and brand conceptualization to tagline and logo development, we have been with Locale since the very beginning. Locale is redefining the traditional extended stay experience by throwing out the conventions of the past and instilling what is simply natural. Located in Grand Cayman, you won’t find any overpriced mini bars or dull common spaces here. 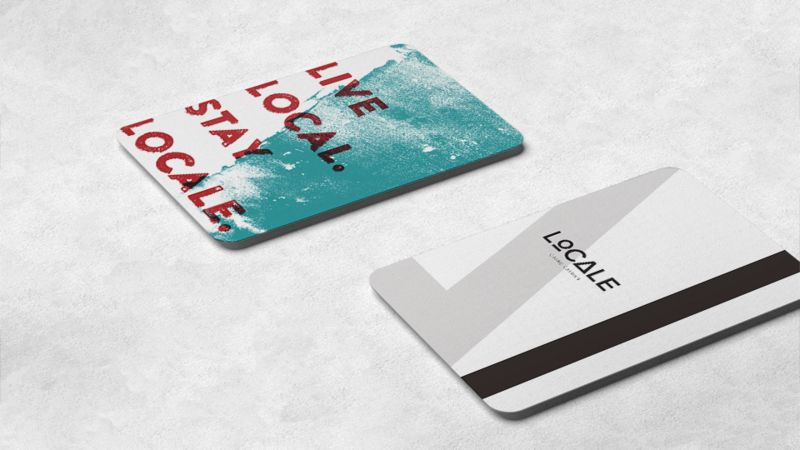 Locale is a place to get inspired, collaborate, work, discover new cities, and feel at home. With modern lofts, welcoming common spaces, and an emphasis on local integration, Locale is redefining the “local stay experience” in Grand Cayman, with hopes to expand soon. 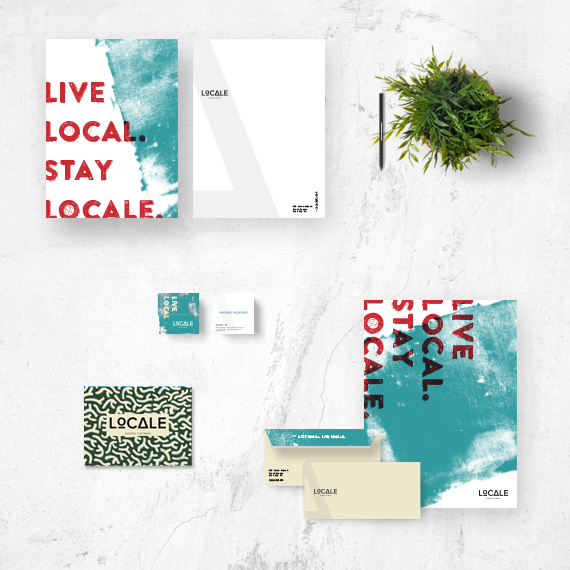 Locale’s branding is meant to create a trendy vibe that goes along with their authentic boutique hotel aesthetic, avoiding the stereotypical “touristy” resort feeling. The Locale logo is a modern representation of what being a local really means. With the O representing the window into the city’s culture and the A as a marker of the hotel’s location, the Locale logo instills what is simply natural.